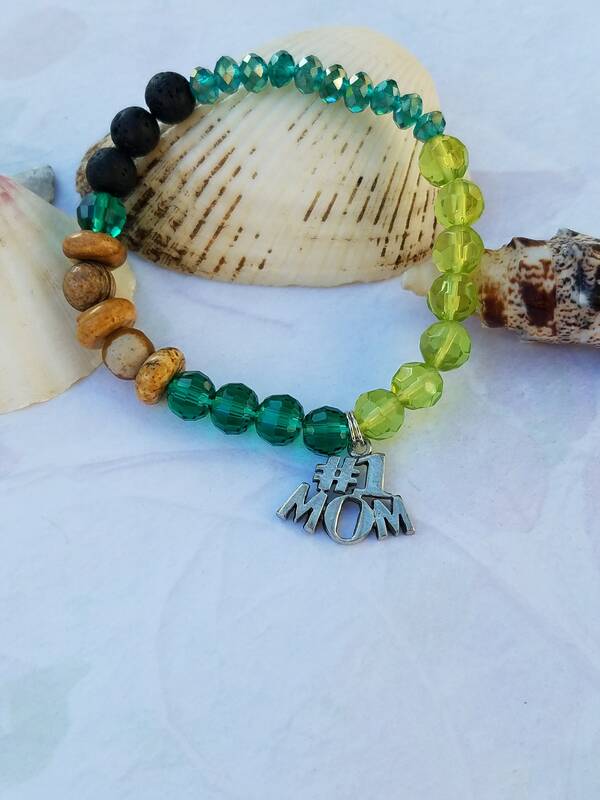 Essential Oils Bracelet, Oil Diffuser, Lava Stone, Jasper Stone, Beaded Bracelet, Healing Bracelet, Glass Bead, Stretch Bracelet, Gifts For Her, Perfect gift for her Birthday, Christmas or Mother's Day! Aromatherapy can be a powerful way to affect your hormones, emotions, memory and overall health. 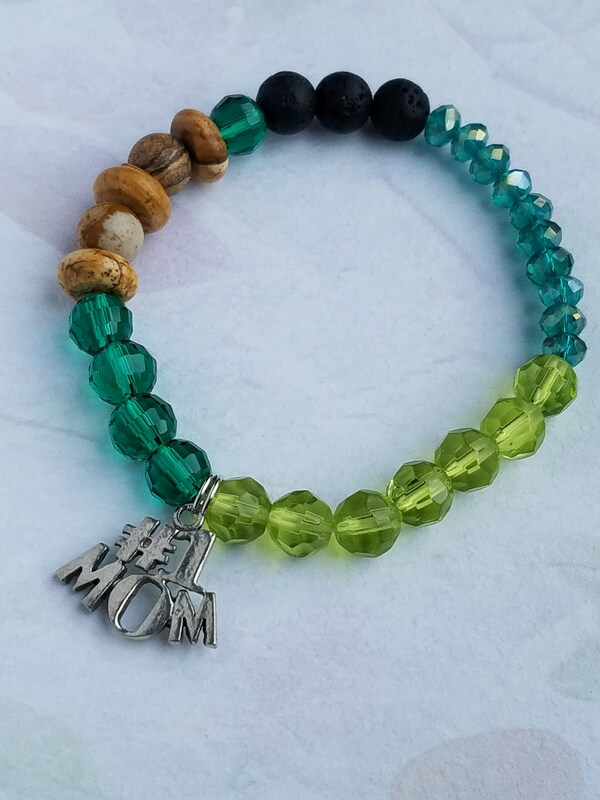 This bracelet features a #1 mom charm as well as mix of beads including lava stone to diffuse essential oil, Made of Lime punch, Arcadia colored glass to make a beautiful bracelet for her! 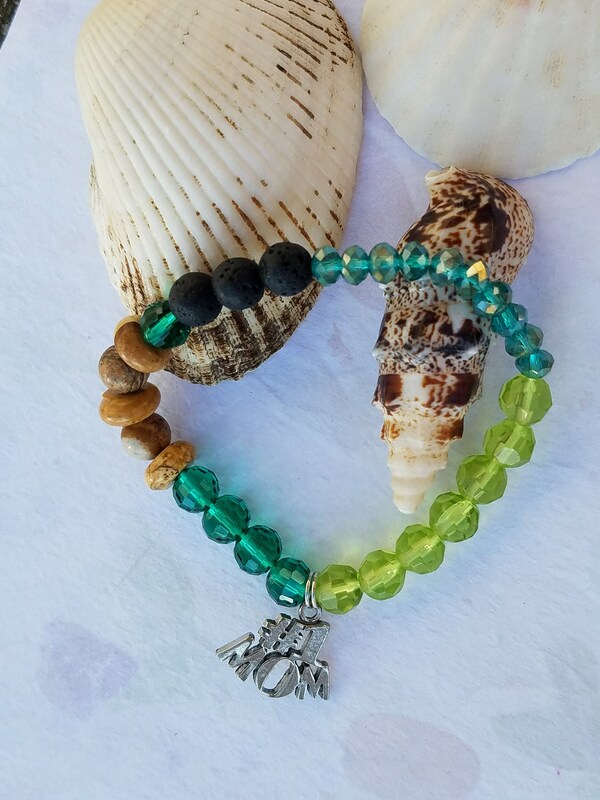 The lava stone add a earthy feel and is porous, this allows it to easily absorb your favorite essential oil to gently diffuse the oil scent to create your own wearable aromatherapy. 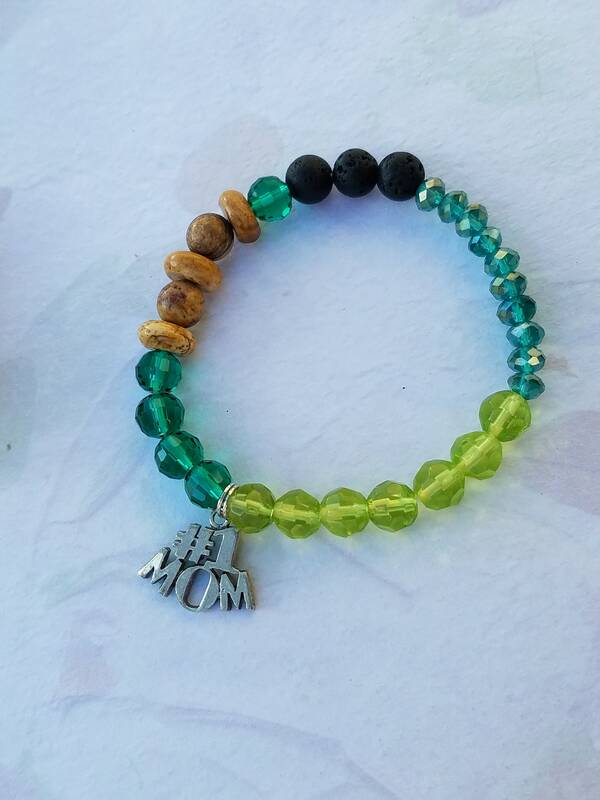 This listing is for the bracelet only no oil included. 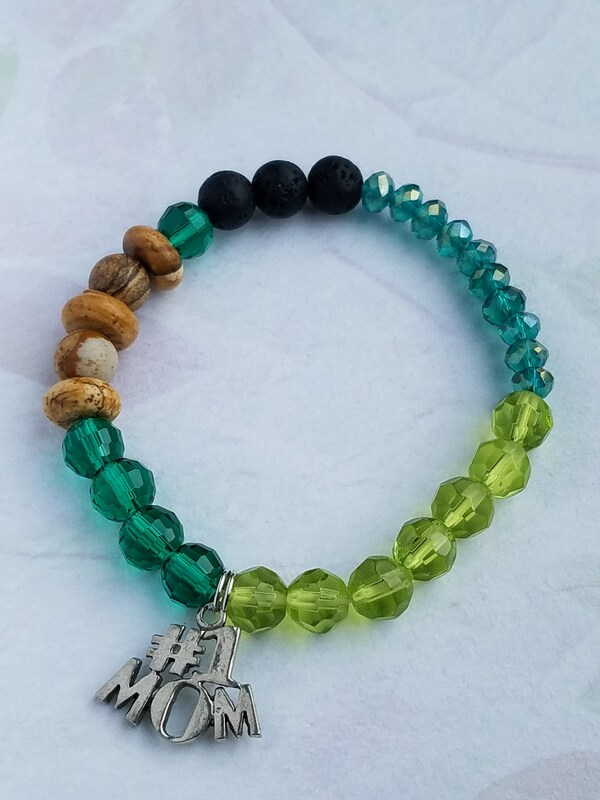 I have only one OOAK 7 1/2 inch bracelets ready to ship! 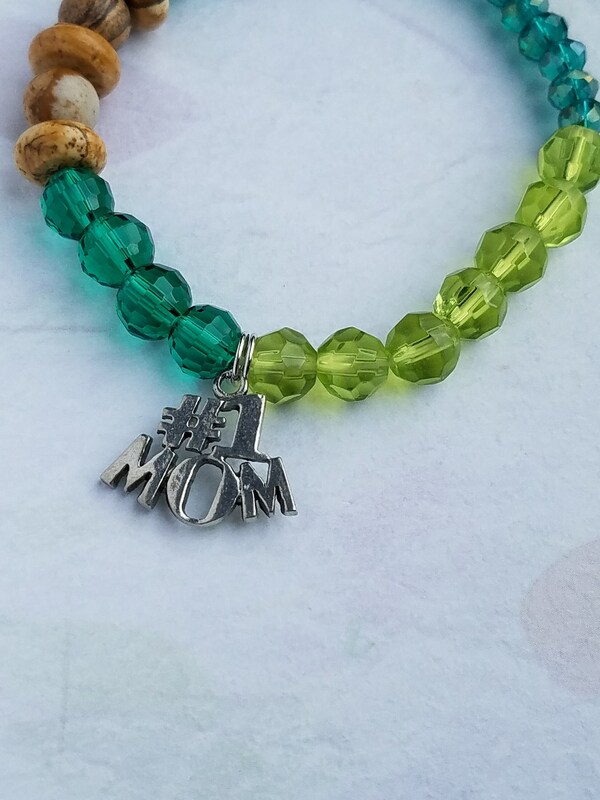 Nice gift for any occasion! ~If you do not see the colors or a design that you are looking for, I will happily create the perfect item for you! please just contact me. ~Small parts, as with all jewelry handle with care.